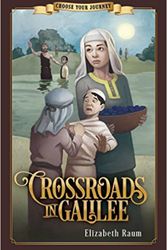 Elizabeth’s most recent Christian books are Bible-based interactive novels for children. 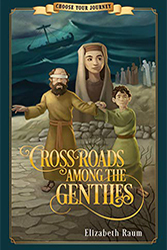 Christmas Crossroads, Crossroads in Galilee, and Crossroads Among the Gentiles place young readers in the Holy Land 2,000 years ago. Readers learn about life 2,000 years ago. They meet Jesus and His followers. As they read, they make decisions that will determine what they see, hear, and learn about Bible times and the people who first heard Jesus. These books are published by JourneyForth, a division of Bob Jones University Press. She has also written a biography for young readers, Gift of Peace: The Jimmy Carter Story (Zonderkidz, 2014) and a picture book about the power of compassion, Cedric and the Dragon (Alma Little 2010). Her adult biography of Dietrich Bonhoefer: Called by God (Continuum, 2003) is available in English, Finnish, and Korean. Young readers may have read some of the 125 books that Elizabeth has written for the educational market. Many focus on important events or people in American history. Others investigate the world’s amazing animals or provide an inside look at our weather systems and natural disasters. Elizabeth lives in Fargo, North Dakota, with her husband, Richard, a retired Presbyterian pastor. 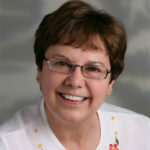 She is available to do school visits or to SKYPE with groups of young readers. 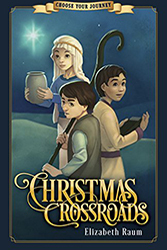 Blythe helped me find exactly the right publisher, JourneyForth, for my children's Bible-based interactive novels.